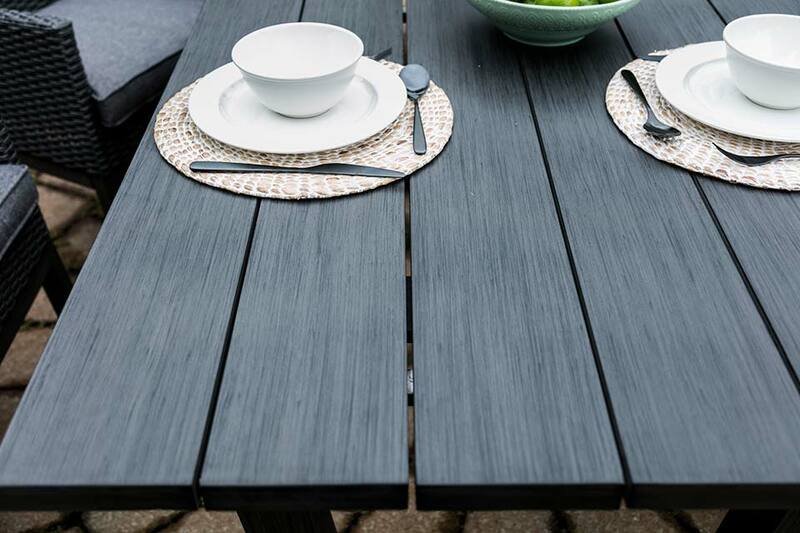 In line with modern day furniture trends, the Oslo Dining Collection incorporates various components for a contemporary and stylish backyard. 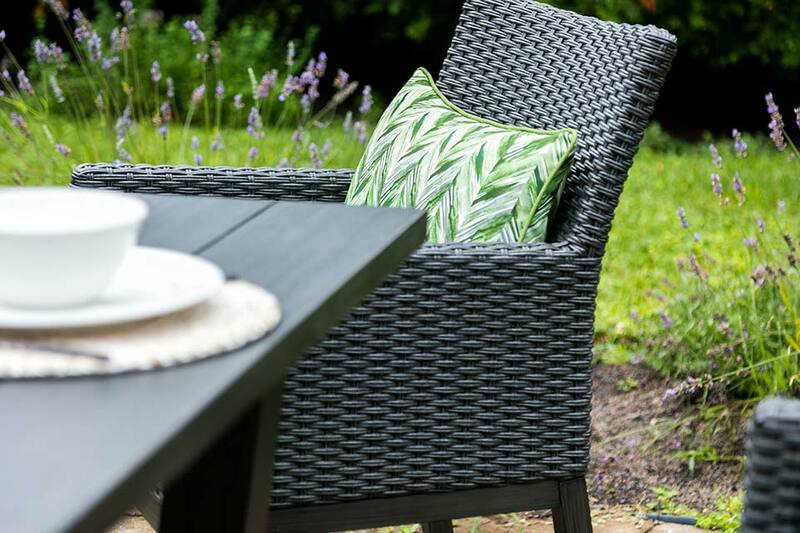 The Arm chair is designed with a carbon coloured, flat wicker weave and is paired with a charcoal grey cushion for a neutral colour palette; accentuate this set with vibrant toss pillows! 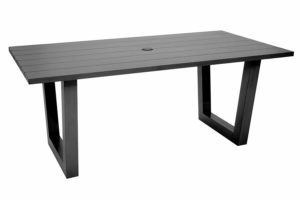 The simple, yet classic, details of the slatted rectangle dining table matches the legs of the chair frame to enhance the modish look. 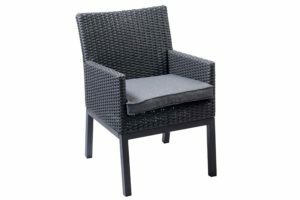 The arm chair can double as a dining chair or as extra seating on your front porch, back deck, and even by the pool or garden. 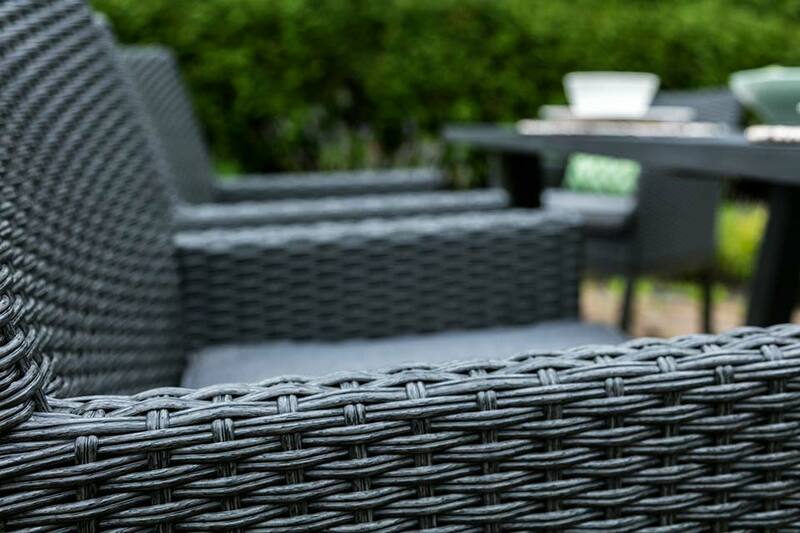 The cool tones of the Oslo chair make it an easy colour match in any outdoor living space. 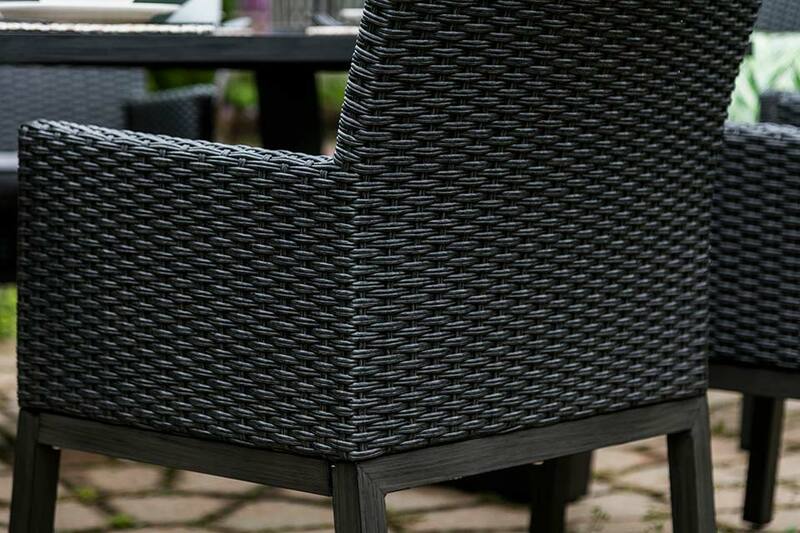 The Oslo Dining Chair unique combines the textures of Aluminum and Synthetic Wicker. 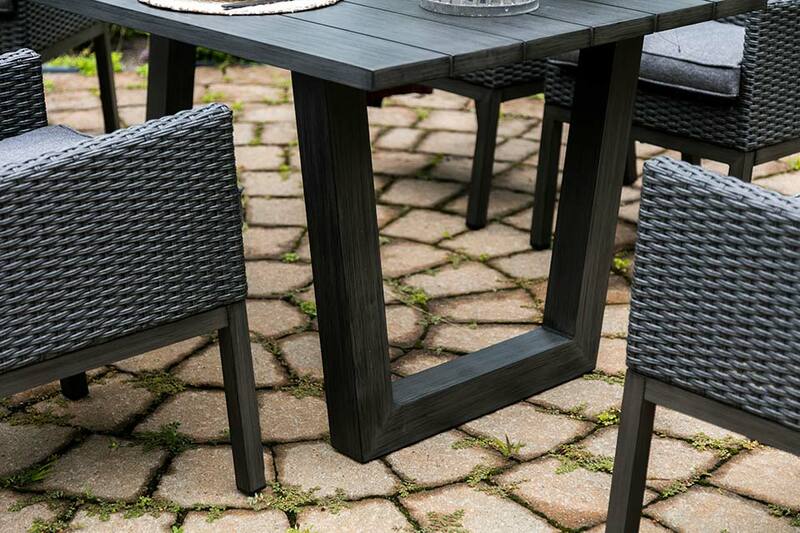 Pair this neutral grey chair with any style of dining table to truly embrace its multifunctional design. 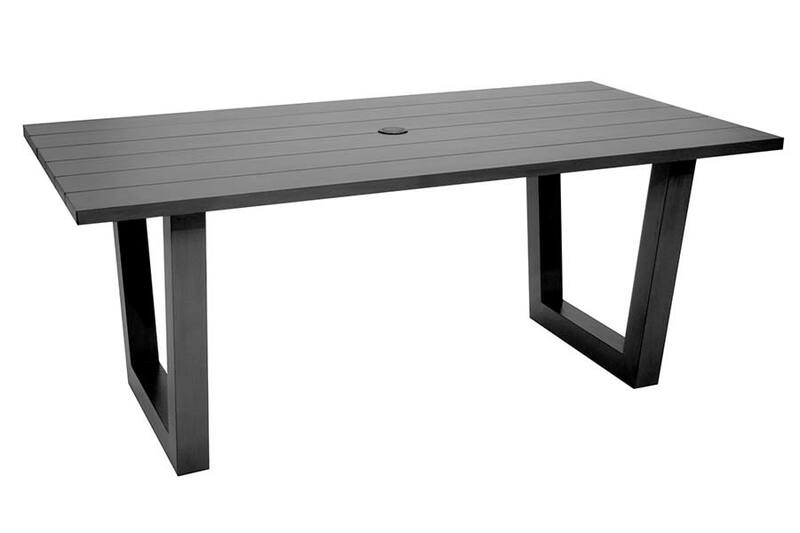 The Oslo Rectangle Slatted Dining Table measures in at 31"x71" and is made of completely rust-free Aluminum material. 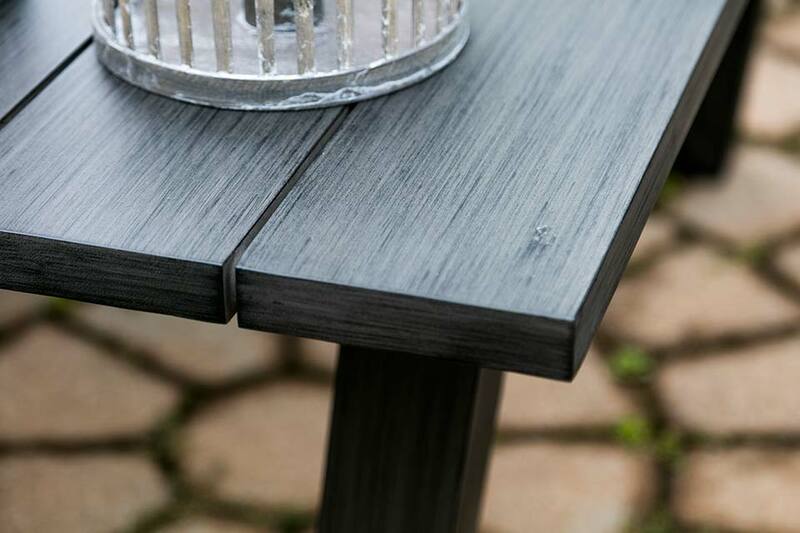 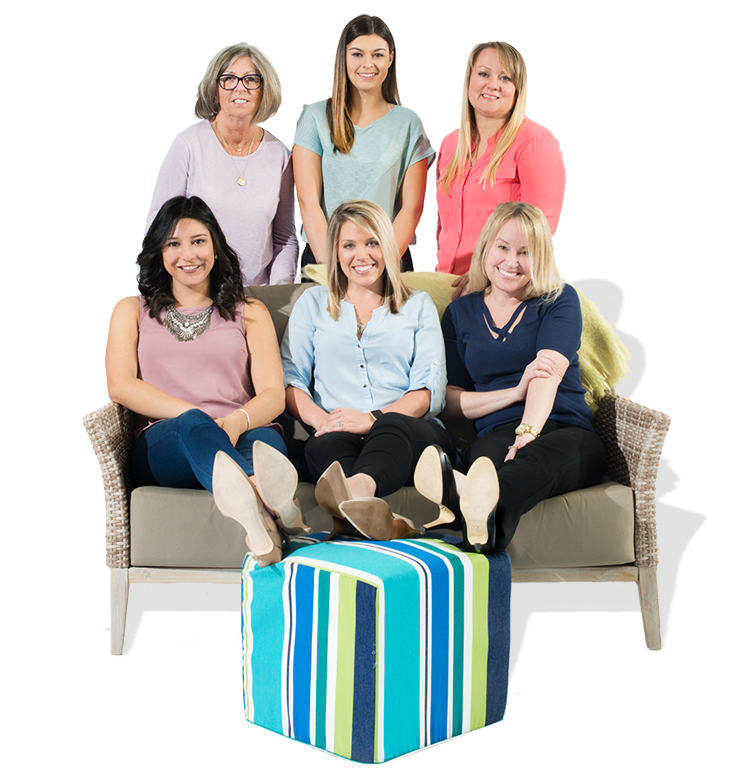 Enjoy this wide-set, modern design that will compliment any coloured deck or patio work in your backyard.